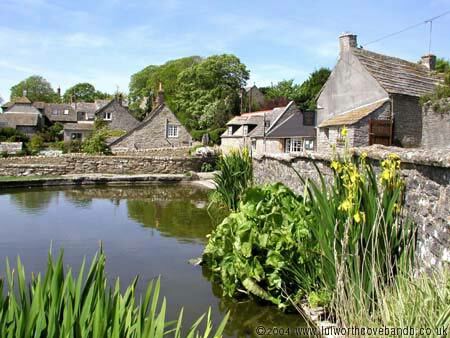 A beautiful village set high on the Purbeck hills. Flags flowering in the pond at the centre of the village just round the corner from The Square & Compass pub. Aprox 30 minutes drive from Lulworth cove.